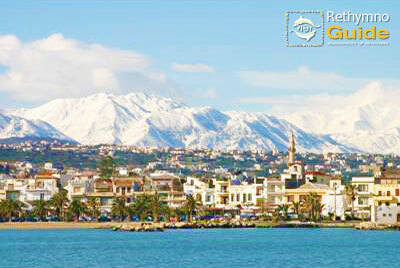 Rethymno completely changes, when dressed in the colors of every season of the year. Its mild climate is ideal for autumn, winter and spring activities such as walking, cycling and horseback riding, with an average annual temperature of 12-20°C, and average sunshine of seven hours per day. Beautiful picturesque villages with architectural features of many historical periods that spring up into a green and unexpectedly beautiful natural environment, waiting for you to explore its history and listen to its magic. Well-preserved traditional settlements, stunning mountain scenery, canyons, safe natural paths for walking, countless caves for exploration, lush meadows with citrus trees and olive groves, which for centuries are the basis of the famous Cretan diet. The visitor of Rethymno experiences an equally interesting aspect of life on our island and the possibilities that Rethymno generously offers throughout the year. During Autumn, Christmas, and Carnival, Rethymno organizes rich cultural events, that attract not only the Rethymninians but also people from the whole island, such as the Renaissance Festival in October and the Rethymno Carnival, which is among the best Events in the country. At the same time, high-quality cultural events organized or hosted throughout the year in our city can satisfy even the most demanding visitor and offer unforgettable memories. As far as the cost of accommodation is concerned, the offered economic price packages make it particularly attractive. An adequate number of three and four-star high-quality hotels around Rethymno's historic center and throughout the city's wider area remain available throughout the year. An alternative option is the luxury villas available for rent in short distance from the city. Many of these hotels, as well as restaurants, offer excellent cuisine, with local specialties such as Cretan dishes with fresh wild greens, seasonal vegetables, olives, and renowned dishes with local meats. 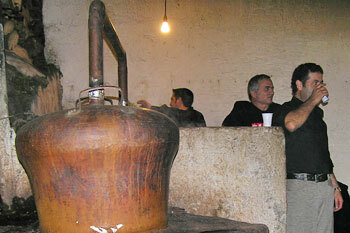 Do not miss to taste the local drinks such as “raki”, as well as local bottled wines of high quality. There are excited offers and many travel opions for low season travelers. Guests can book travel to Crete for trips taking place between November 2017 and April 2018 with number of times each week. By Air: International travelers arrive by air, usually with a change in Athens. By Ferry: Ferries connect between Heraklion port in Crete to Piraeus port in Athens. Travel time by ferry is about 9 to 10 hours, and the journey is typically an overnight trip. For ferry schedule visit: Anek Lines & Minoan Lines. 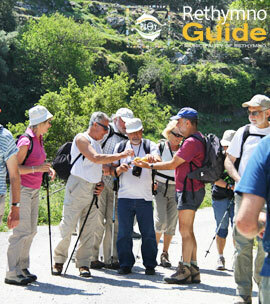 Additional Information: Rethymno Travel and Tourism agencies Association. 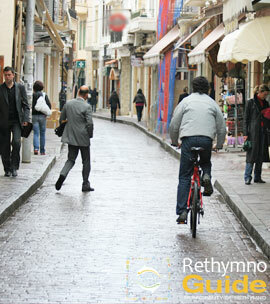 Enjoy Rethymno with less tourism but with a lot of pulse due to the university students and the liveliness of the locals. The average temperature for Autumn, Winter and Spring range from 12°C to 20°C and the average sunshine is 7 hours per day. Besides the rich cultural events, the ideal climate offers countless options for unforgettable experiences in and out of the city. Cosy city hotels and high-quality restaurants are ready to welcome you and offer you their best in accommodation and low prices. 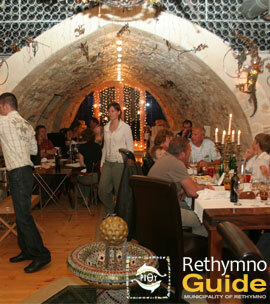 Rethymno is heading into Fall & Winter filled with exciting offerings for visitors who want to explore real Cretan life. 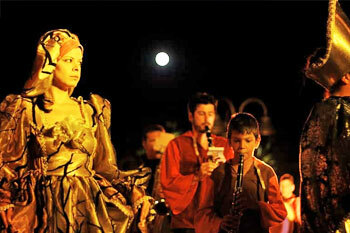 The Renaissance Festival is organized by the Municipality of Rethymnon every two years for over 25 years. It is one of the most important artistic institutions of the city, and for the locals it is a means of cultural communication with the rest of the world. The primary purpose of the event is the cultural revival of the Renaissance culture and the dialectics between the peoples of the Mediterranean, the Balkans and Europe through the sciences and the arts. 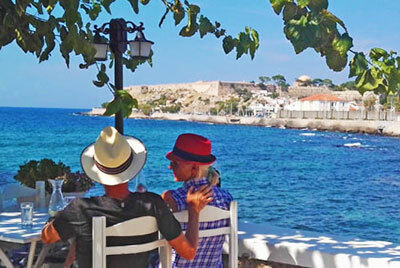 The festival is framed by a variety of events and activities and attracts visitors and artists from all over Greece. Participation in its preparation and its actions. 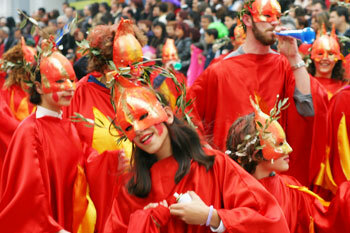 Every year during the carnival period Rethymno celebrates and lives in the rhythm of Rethymno Carnival. On the last Sunday of the Carnival period, over 15000 locals and visitors, with more than 30 floats participate to the parade in the central streets of Rethymno, ending at the coastal road, where they carnival king is burned through fireworks. During the Carnival is also organized “The hunting of the hidden treasure”, a game for kids and adults, with great participation as well as many other fun events. 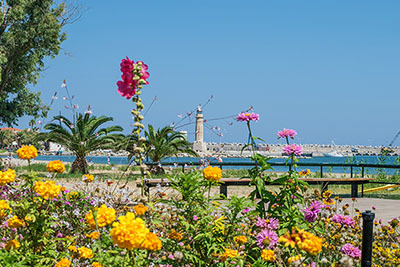 Rethymno in spring offers unlimited sunlight, combined with mild temperatures. The weather is excellent for sightseeing and strolling along paved paths and secluded beaches. Τotal privacy can be found in many places, giving the chance to experience unique moments. The use of the olive oil in the Cretan Diet has deep roots in time. From the plaques of Linear A and B is testified that the Minoans used olive oil in their alimenation from 1800 bC. 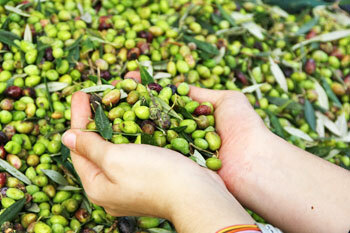 Today the Cretans use and consume great amounts of olive to prepare their local dishes. It is considered the secret of longevity and the base of the Mediterranean diet. In a short distance from the city and in areas with eternal olive trees, where the locals grind their olives, you will taste fresh olive oil with warm bread. 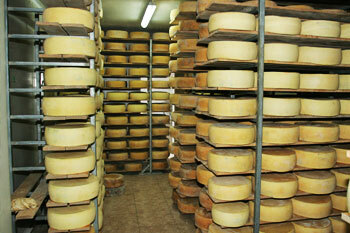 In Crete there is long tradition in cheese diary. The sheep and goats fed from the Cretan land, have fine meat and from their milk is produced by the Cretans an extended variety of tasteful products. “Graviera” is one of them, while Mizithra and Feta cheese are also exceptional in taste and quality. Tsikoudia (or Raki) in Crete is a product of single distillation of grapes. In Greece, the distillation of the grapes is called “tsipouro” and in Crete particularly, the “tsipoura” are called “tsikoudia”, as it is called the final product from this process. Taste the warm tsikoudia around the pots, with meze plates and good company, and get to know the traditional process of the production. Crete is a rich place. During your stay, you will have the chance to taste local wines and accompany your dinner with finest drink. Besides, it is well-known that the moderate consumption of wine (1-2 glasses of wine per day) reduces the danger of heart diseases. 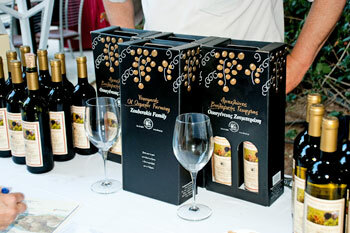 In Crete, the wine is part of our culture and the highlight of our social relationships and our friendly spirit. Thus the reduction of it in a way of life, combined with the fertile soil, the sun, the long experience, and the love for everything the Cretans do, has made its manufacture in a kind of art.